The Mangalica (also Mangalitsa or Mangalitza) is a Hungarian breed of domestic pig. It was developed in the mid-19th century by crossbreeding Hungarian breeds from Szalonta and Bakony with European wild boar and the Serbian Šumadija breed. The Mangalica pig grows a thick, woolly coat similar to that of a sheep. 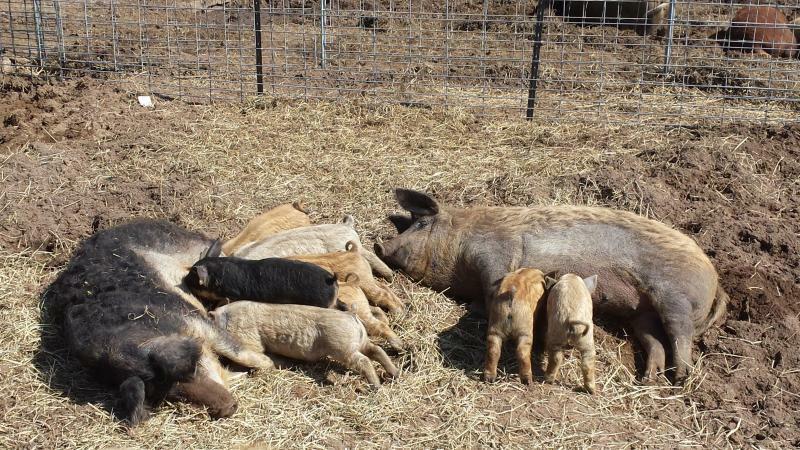 The only other pig breed noted for having a long coat is the extinct Lincolnshire Curly-coated pig of England. 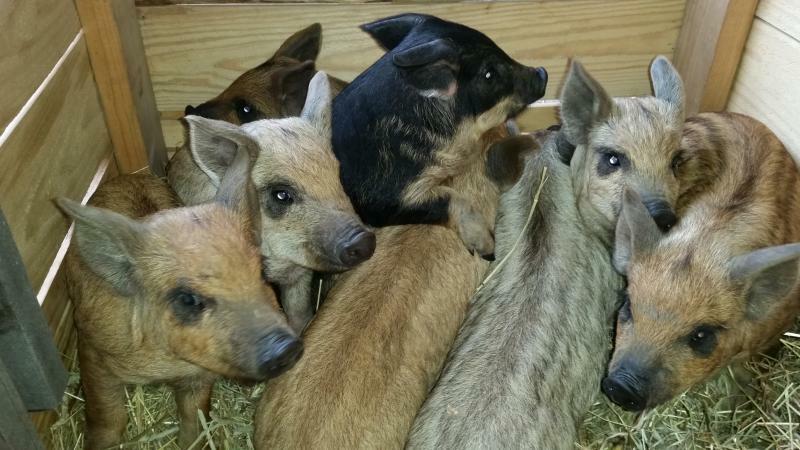 The three Mangalica breeds are: Blonde, Swallow-bellied and Red. They all have the same behaviours, the only difference is the colour. 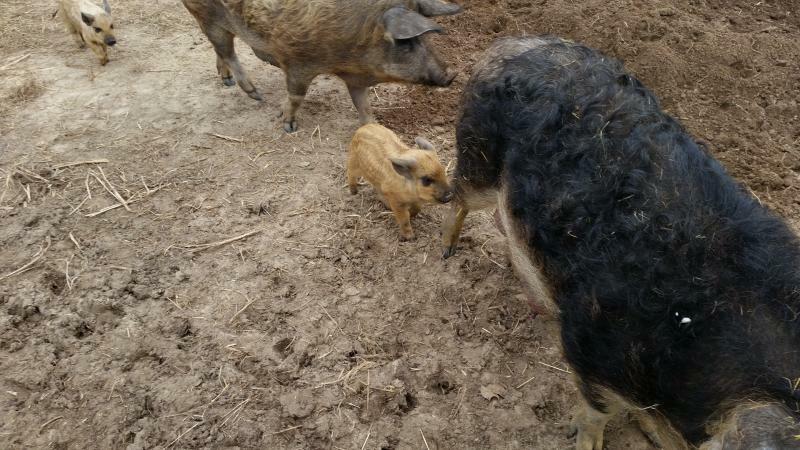 The Blonde Mangalica is blonde, the Swallow-bellied (originally produced by crossing the Blonde Mangalica with the extinct Black Mangalica)has a blonde belly and feet with a black body, and the Red (produced by crossing the Blonde Mangalica with the Szalonta breed)is ginger.